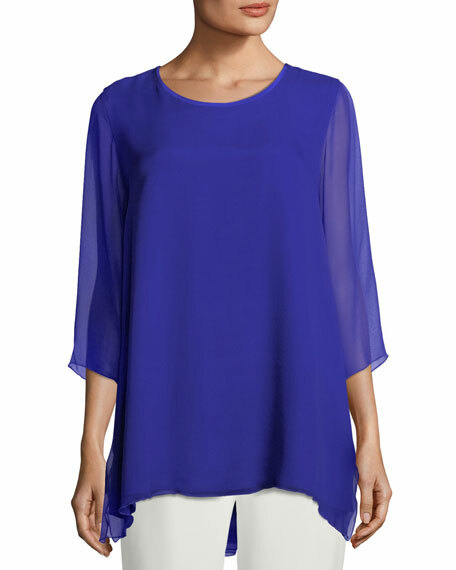 Caroline Rose flowing silk chiffon tunic with built-in layer tank. 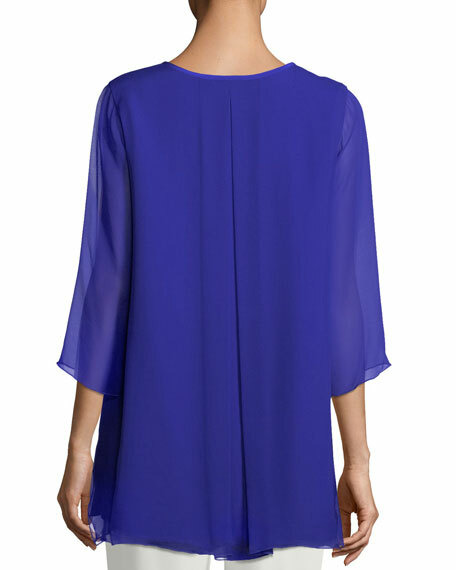 Inverted back pleat for movement and ease of fit. For in-store inquiries, use sku #2408276.